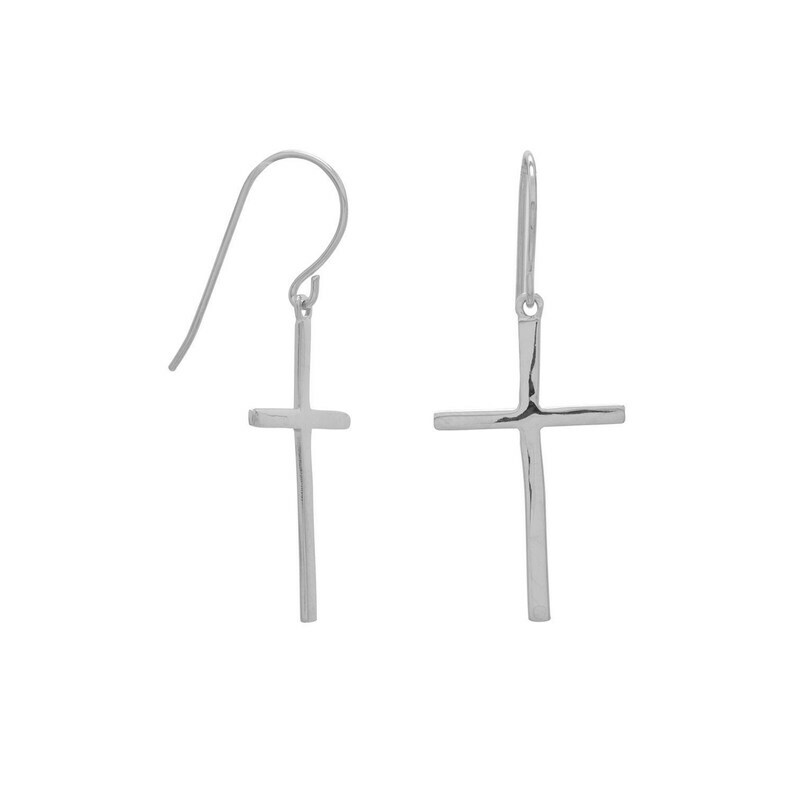 These brand new french wire earrings are genuine .925 sterling silver earrings featuring a genuine polished .925 sterling silver cross drop measuring 15.5 millimeters by 24.5 millimeters. The earrings have a total overall hanging length of approximately 36.5 millimeters. Salerno's Jewelry Store has a huge selection of handcrafted jewelry designs in stock so if you don't see what you are searching for here in our Etsy shop just contact us and jewelrymandave will be happy to assist you!